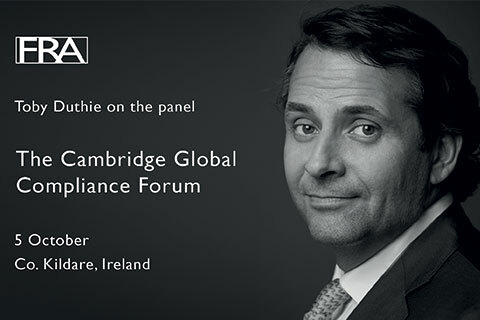 One of FRA’s founding partners, Toby Duthie, was on the panel at The Cambridge Global Compliance Forum in Co. Kildare, Ireland. Toby was joined by Thomas Yongo from Salesforce. They addressed the elements and implementation challenges of a successful monitoring program to reflect the scale of the enterprise, and ensure that it meets the intended results of improved reputation and creates business value.